These are our most popular classes. Offering swimming instruction from beginners all the way up to our more competent and confident swimmers. We work towards the asa award scheme and each swimmer will be encouraged to achieve badges and certificates in line with the scheme. These classes last 30 minutes long and will contain a maximum of 6 children per teacher. All of our children's swimming lessons in Huddersfield are taught by our highly-experienced swimming instructors in a safe and friendly environment. Week by week, you will notice a gradual improvement in confidence levels and swimming ability as your child is taught how to swim safely using the most effective technique. We only provide swimming lessons of the highest quality and make them as fun as possible for your child. Bookings are taken in 6 week blocks and cost £7 per lesson. Contact us today for more details. Parent and Child Lessons are a perfect way to introduce babies from 3 to 36 months to water and the pool environment. We ensure that the lessons are fun and enjoyable, inspiring confidence and water safety through play, nursery rhymes and games. 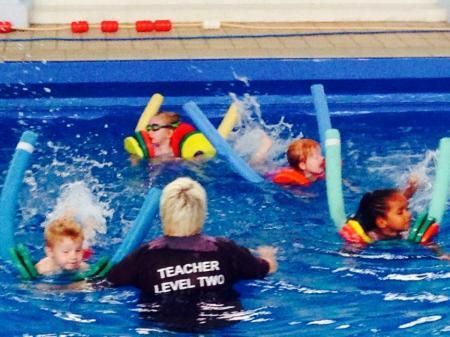 Parent and child swimming classes in Huddersfield teach your child to enjoy being in the water and provide them with the perfect framework to gradually improve their swimming technique. Children visibly enjoy their time in the pool with mum, dad, or both sets of parents, and gain the maximum benefits from child swimming lessons. If you want to develop trust and help to boost confidence, early years swimming is the ideal path to take. Bookings are taken in 6 week blocks and cost £7 per lesson. Get in touch with your enquiry today. We provide progressive swimming classes for babies. Designed to help your child become accustomed to water at an early age, our newborn swimming classes are fun and an ideal way to spend time with the newest member of your family. Life in the pool is a magical experience for your baby, their confidence grows and their skills dramatically improve as they quickly learn how to progress through safe and structured swimming lessons. All of pre-school age swimming classes give toddlers a greater sense of self-esteem, they're a great way to bond with your baby and have a little fun at the same time. At Get Wet Swim School, we will teach and support your child through all stages as they progress at their own pace. Getting your newborn in the water early has a number of benefits too – helping your child develop skills that would normally come much later. Call us to find out more about our swimming lessons for newborns. 1-2-1 lessons are ideal for those children who need that little bit of extra help to progress onto the next stage within the mainstream lessons. Private swimming lessons in Huddersfield give your child the maximum amount of support and offer all the reassurance they need. They focus solely on the individual, gradually working at their own pace, so they can reach realistic targets and achieve goals that help to motivate your child. We make our one-to-one swimming classes as fun as possible for your child, to help them enjoy the experience so they look forward to their swimming lesson each week. Each lesson is structured and tailored to the needs of the child. 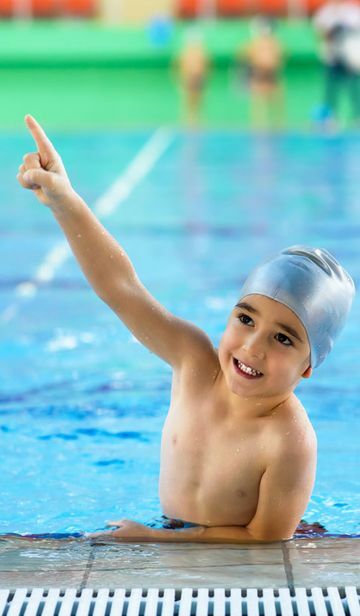 Lessons are designed to help your child develop on a weekly basis, so they gradually strengthen and master their swimming technique . Private lessons can be cost effective as a couple of 1-2-1's may reduce the number of courses needed. If you are an adult looking to build water confidence and learn to swim as a beginner, or to just improve your stroke and technique, we can tailor lessons to achieve your goal. Our private adult swimming lessons in Huddersfield give you the greatest degree of flexibility and can help you achieve your individual goals. 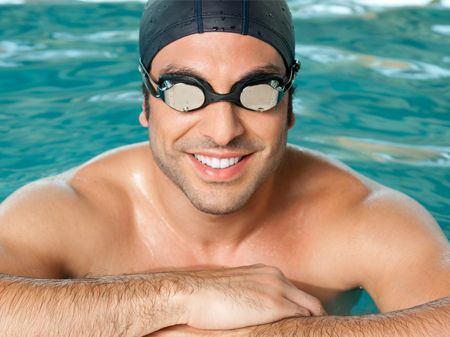 You will learn how to swim in the most cost effective way and as quickly as possible. With intensive swimming courses available for people of all ages, you'll soon be swimming with confidence and using the right technique. We have adult swimming classes for people with all abilities, whether you are a novice, an intermediate, or need advanced swimming lessons, we are sure to have the ideal lessons for your personal needs. Please contact us to discuss your requirements and for further information, you can call right now to arrange affordable swimming lessons and book with confidence. Get Wet Swim School offers a huge range of swimming classes for people of all ages and abilities. From newborn baby swim classes to private classes for adults and group lessons for schoolchildren, we offer professional instruction to the highest possible standards. 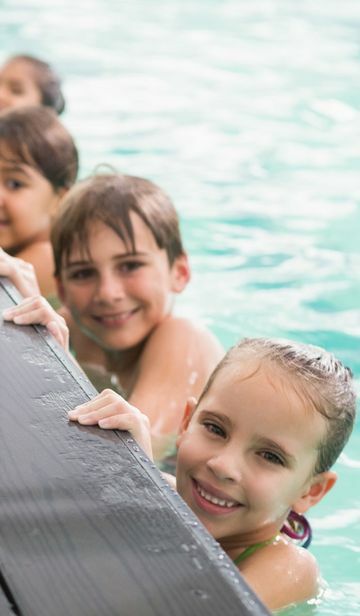 For more details and to book group or private swimming lessons in Huddersfield, please don't hesitate to contact us today by calling 07825 449 670.